If human beings find beauty in a landscape that captures the perfect place to survive and flourish, then June Carey has found the Garden of Eden. 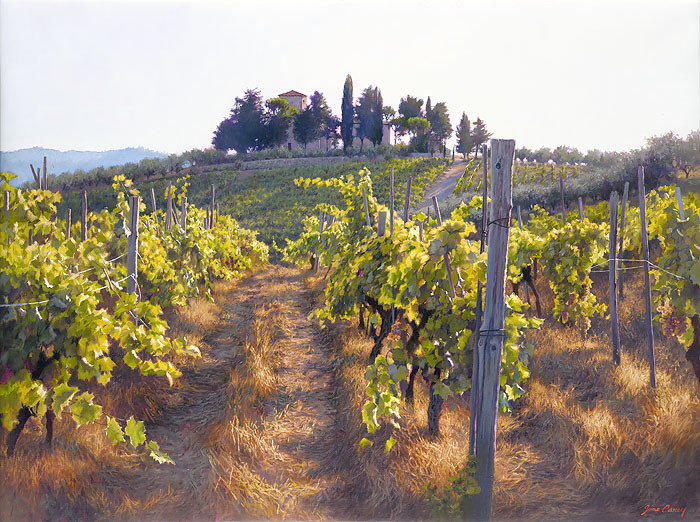 Magic is in the air as grape leaves glow translucent with the final rays of the Italian sun on this Panzano in Chianti hillside. The romance and beauty of this place is universal and as a Fine Art Canvas is one the best works of June Carey’s we have ever presented.